The credit processing firm, MJA & Associates, specializes in screening candidates for federal, state, and local government tax incentives. 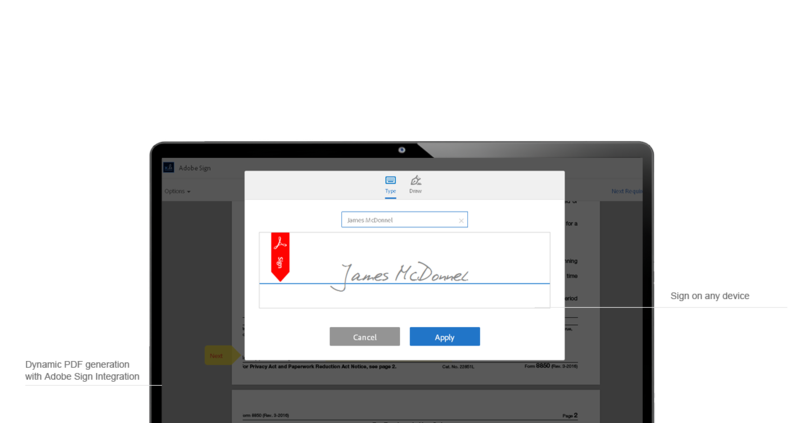 The staff used Logiforms to automate the application process and collect electronic signatures. It also provides their clients a dashboard for them to view and manage applications. The results have been incredible! The forms are immediately screened for eligibility. We spend less time on non-qualified applicants, and we can more efficiently process the qualified candidates. The electronic signatures are a huge part of the success. To qualify for tax credits, employees must complete a couple of standard forms. Based on their answers, a tax credit firm determines if the employees qualify. MJA & Associates’ former process required its staff to manually review paper-based submissions. Then, they’d have to populate the data into the correct forms for the qualified applicants. MJA & Associates wanted to offer a solution to their business clients to automate this process. The solution needed to be scalable, and support multiple business clients. 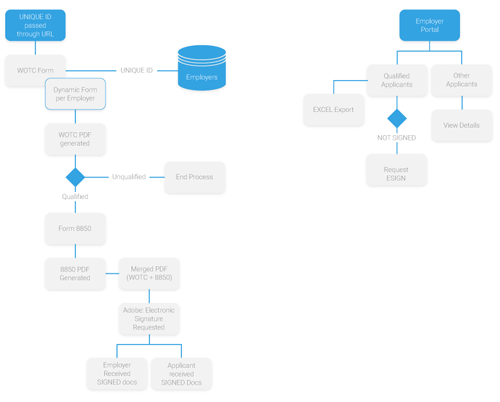 It also needed to automate business logic, signature process, and PDF document generation. 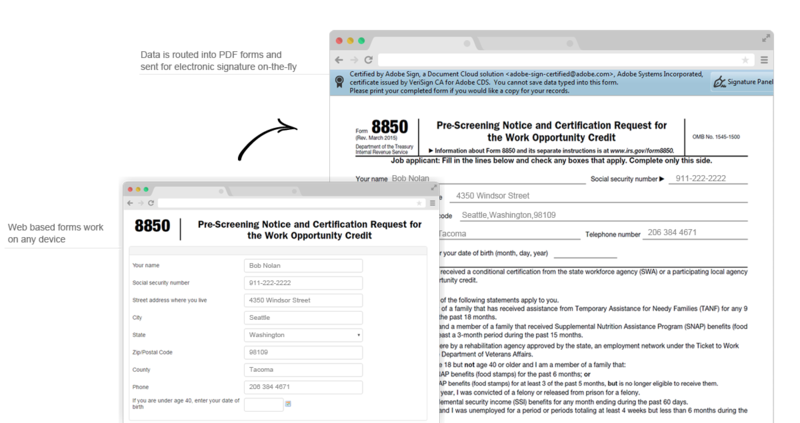 MJA & Associates created a series of web forms that collects information required for tax credit applications and automatically detect if the applicant qualifies for tax incentives. Using a dynamic data look-up, they built a system that allows new employers to be quickly added. 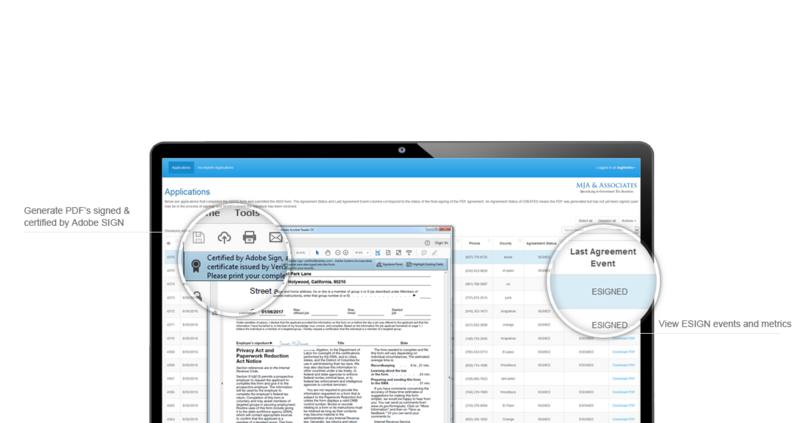 The forms are automatically updated for each employer. The staff also used our dynamic PDF document generation and electronic signatures to automate the entire process. MJA & Associates web forms are multi-page, conditional and easy to use. 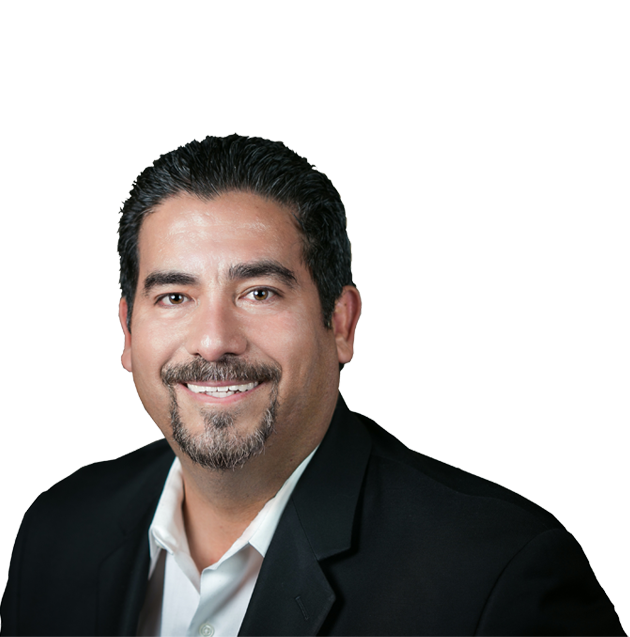 With smart grading to determine eligibility on the fly based on a set of rules and scores, the data collected is routed into official PDF forms and sent for signature with Adobe Sign. Sign on your desktop, tablet or mobile. Use your finger or type your name. Getting electronic, legally binding signatures helps MJA & Associates offer a complete end-to-end solution to their staffing clients. 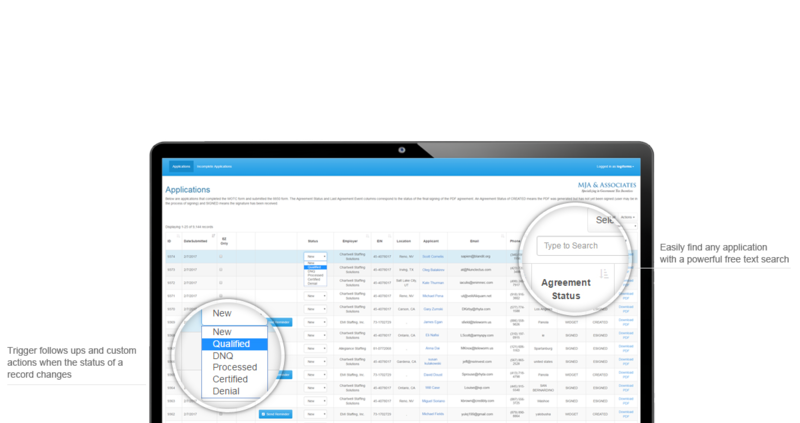 Using Logiforms Workflows, each MJA & Associates client can log in to a private portal to search, sort and view applicant information, download the signed & certified PDF’s and initiate a series of follow up actions. Through the workflow, employers can automate a series of follow ups and review and classify applicants. Employers can easily export records to excel, add comments and set the applicant status. Once the firm’s workflow determines which applicants are qualified, the candidates can e-sign a dynamically prepared set of documents. This automated workflow allows MJA & Associates to process applications in real time. We no longer need to track down employees to collect missed signatures. The information is accurate, and precise. It contains all the required information. It has really streamlined our process!